2. 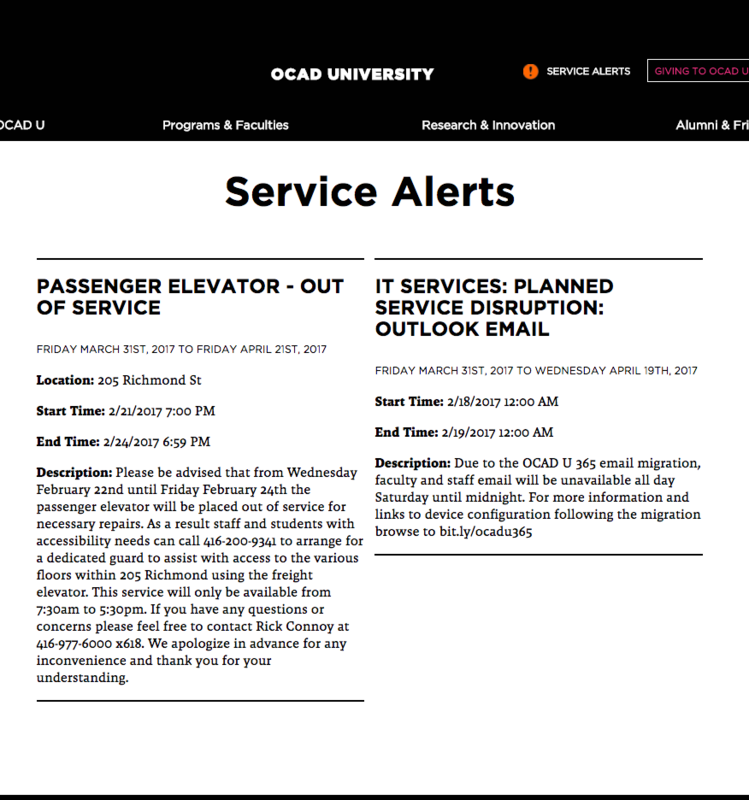 Click on "Log In" and it will take you to the OCAD U log in page. 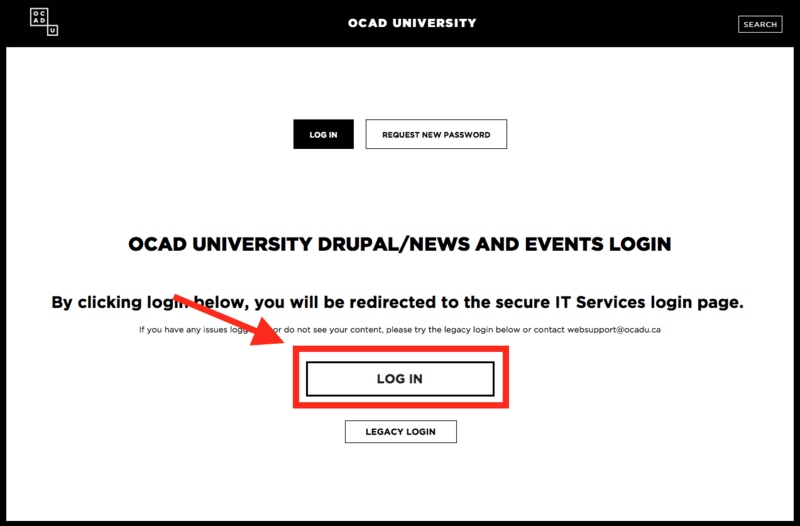 Fill in your OCAD U username and password and click Log in. 3. On the right hand side of the window, Select "Internal Update". 4. Ensure that you check the box next to "Service Alerts" at the top right of the window. 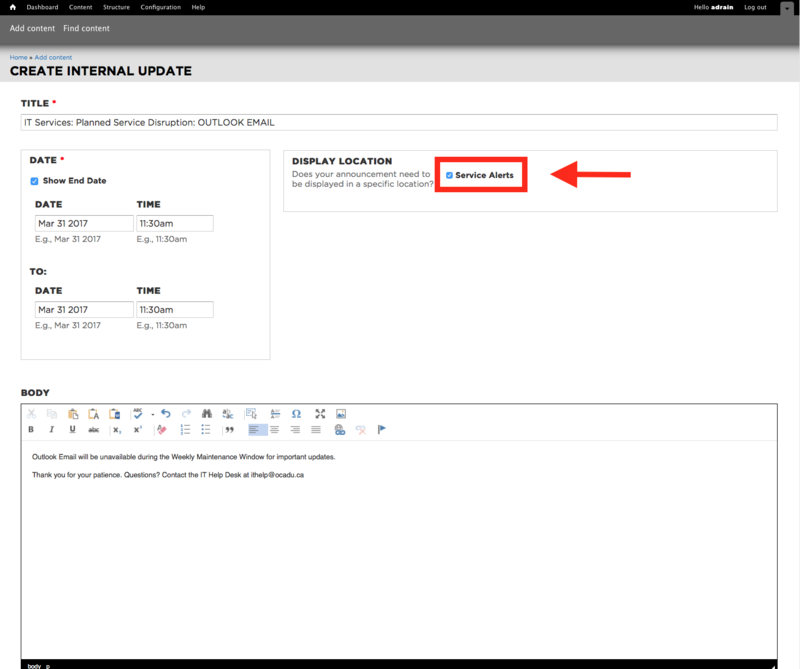 Then fill in Title, Dates, and Body text for the service alert. 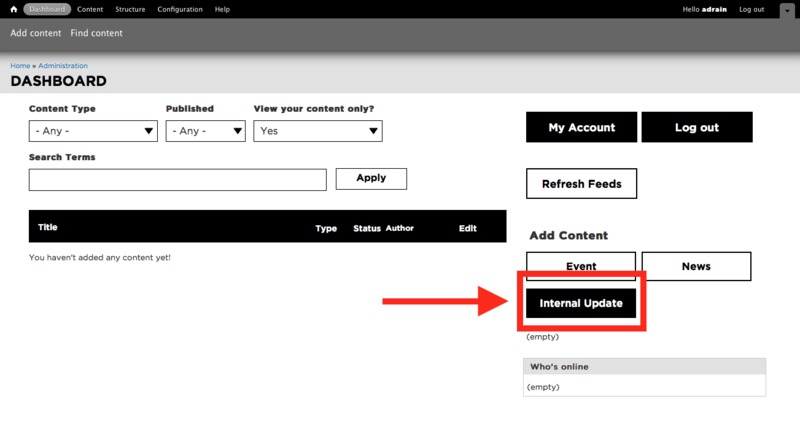 Note that after the end date, it will no longer show up on our Service Alerts page. 5. 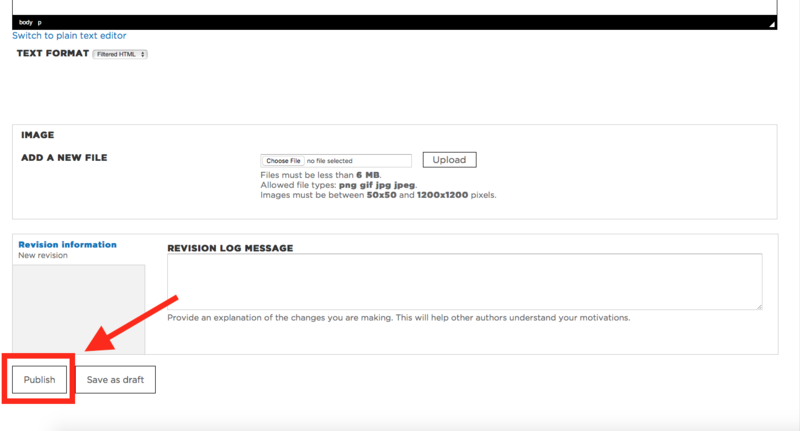 Scroll down and select "Publish". And you're done!